RICHMOND, Va., May 10, 2018 /PRNewswire/ -- TemperPack, a leader in sustainable packaging, announced today the launch of ClimaCell™, a paper-based insulator that provides an alternative to commonly used insulating materials such as EPS foam (Styrofoam®) coolers. 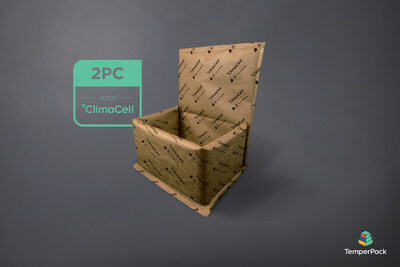 The TemperPack 2-Piece Box Liner with ClimaCell is the first certified fully curbside recyclable box liner. 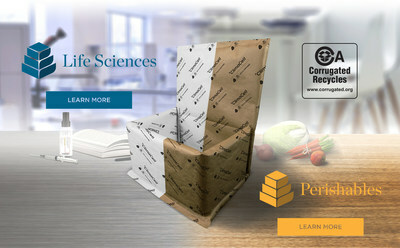 The TemperPack 2-Piece Bag Liner is certified fully curbside recyclable and perfect for unattended delivery of perishable goods. 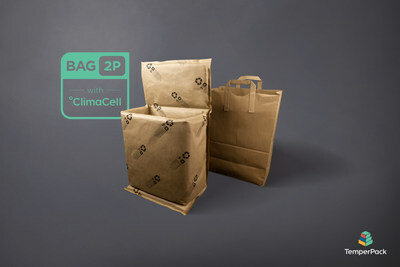 ClimaCell was designed to meet the needs of both the Life Sciences cold chain industry as well as the Perishables shipping market. "When a package shows up at the door, almost everyone knows what to do with the cardboard box afterwards – throw it in the blue bin. In fact, people get this right 93% of the time," explained James McGoff, TemperPack's Co-CEO. 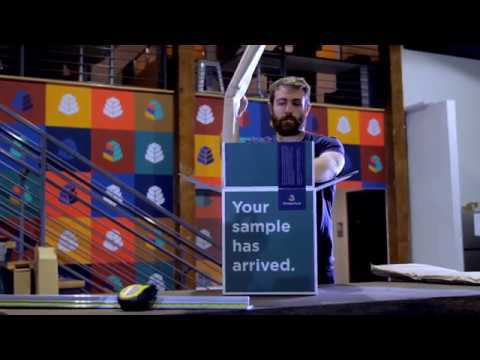 "With the massive growth in e-commerce fueled perishables like food and medicine, we wanted to introduce 'guilt-free' insulation that was just as easy to recycle as the cardboard box it came in." At current productions rates, the World Economic Forum predicts that the amount of plastic in the ocean will outweigh fish pound for pound by 2050. Packaging is a major contributor, accounting for nearly a third of municipal waste. Because they are made from foamed plastic, almost all traditional insulation materials have been incompatible with curbside recycling. In addition to being certified for curbside recyclability, ClimaCell was developed with an emphasis on maximizing thermal performance and moisture resistance, while minimizing weight and storage space. The company allows for fully customized graphics and messaging to be printed directly on the insulation. "We found that companies in this space put a high value on communicating their sustainability efforts to their end consumers, and we wanted to offer something that looks as good as it performs," explained John Briney, TemperPack's Director of Marketing.